In spite of the chick lit cover (which, to be honest, I kind of love), this one keeps up just fine with works that received a more literary slant, like The Storied Life of A.J. Fikry. I loved the cast of characters Henry creates and the way she brings them to life on the page. She has quite a bit going on here, but she manages to keep it all running smoothly and integrates each part into the whole in a clever way. I loved, loved, loved reading this one. It's got everything I could ask for - a little bit of romance, the charm of an English village, cozy autumn nights, and loads of books and book references. Add in the food and music descriptions and the whole thing is just perfection. It's perfect for book lovers of all sorts. I highly recommend this, particularly to those who loved A.J. Fikry, but also to anyone who loves happy endings and cozy nights by the fire. This is an absolutely perfect fall read and it's got all sorts of warm fuzzies to boot. 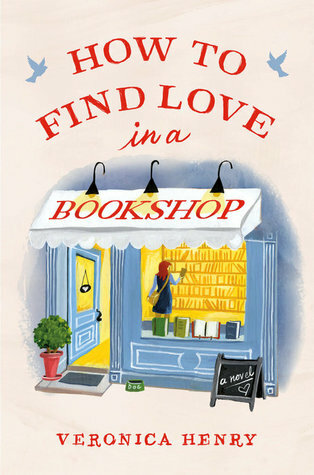 Read it wrapped up in a snuggly blanket and fall in love with the whole village of Peasebrook. Just put this book on hold. Thanks! Also noticed you are reading Tiny Beautiful Things.... a book I really like. Sure do appreciate your site! Well this sounds perfect! Just put in a hold for this. Réplica perfecta Ray-Ban, que combina un estilo elegante y una tecnología de relojería de vanguardia, una variedad de estilos de Réplica perfecta Ray-Ban, el puntero se interpone entre su exclusivo estilo de sabor.